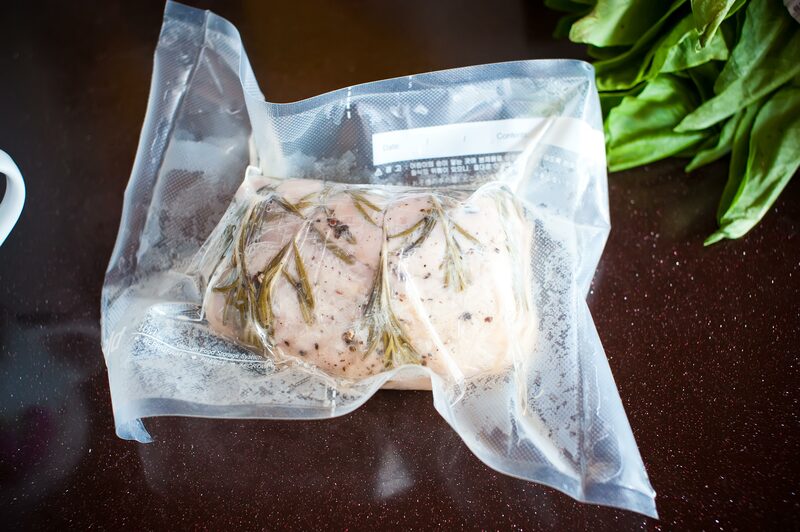 Method: The tenderloin is rolled up with a few sprigs of rosemary, a few turns from the pepper grinder, wrapped in clingfilm(to maintain shape), then sous vide and dropped into a water bath at 55.5C for 4 hours. It gets pulled out of the bath and cut open,any juices are reserved, the tenderloin is wiped dry with paper towels and put into the freezer for about 20 mins. 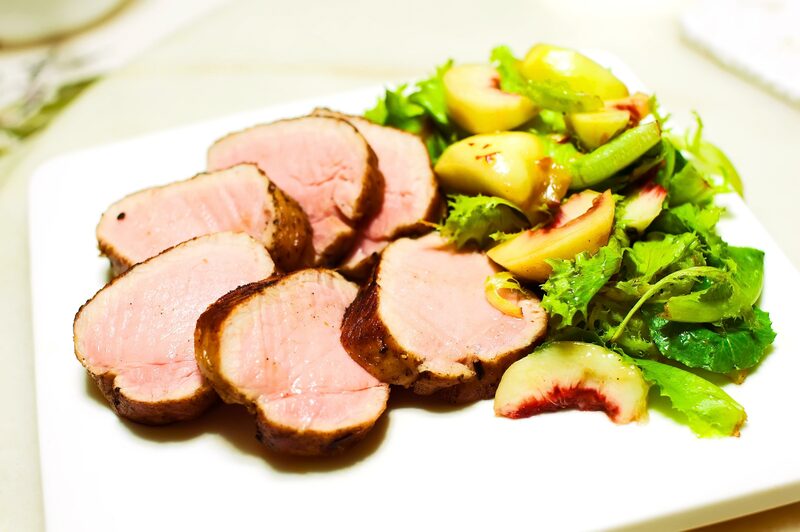 While the tenderloin is chilling out, heat some canola oil and fry some rosemary leaves till crisp, make sure they do not burn or they will taste incredibly bitter, throw in a handful of pine nuts as well, this not only roasts the nuts, it infuses the oil with a subtle nuttiness and rosemary aroma. Remove the crisp rosemary and toasted pine nuts, reserve. Pros: The pork tenderloin retained a lot of juiciness, 55C is a very nice temperature for a tenderloin(the 0.5C is just a food safety precaution, even though my immersion circulator seems to be fairly accurate), and a nice temperature for most tender cuts of meat including beef. Needless to say it was tender as well. The brine seasoned the meat nicely an there was no need to re-season before sous vide. The effort taken to dry out the exterior of the meat and baste it with smoking hot oil gave the tenderloin a really nice, slightly crisp crust. Cons: None that I can think of really, I used a non stick pan which didn’t get as hot as I would have liked, but I just bought a cast iron skillet so I’ll be trying that next time.